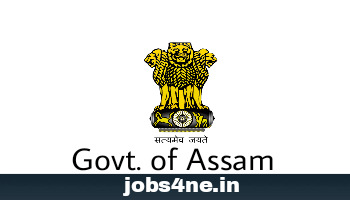 Assam Secretariat Recruitment for 174 Nos. Junior Administrative Assistant: Last Date 24-09-2017. - Jobs4NE : Jobs in Assam and North East India. Assam Secretariat Recruitment for 174 Nos. Junior Administrative Assistant: Last Date 24-09-2017. Online applications are invited from the intending eligible candidates who are citizens of India having registration no. in employment exchange in the state of Assam for filling up of the 174 nos. vacancies as indicated below in the cadre of Junior Administrative Assistant in the Assam Secretariat (Janata Bhawan). Name of the post: Junior Administrative Assistant. Total no of posts: 174 Nos. (UR- 100, STP- 17, STH- 5, SC- 6, OBC/ MOBC- 44, PWD- 2). Educational Qualification: Graduate in any discipline from a recognized University with minimum 45% marks, 40% for SC/ ST candidates in their degree examination.The candidates must possess a minimum 6 (six) months Diploma/ Certificate in computer proficiency from a recognized institute. Age Limit: Minimum 18 years and maximum 43 years of age as on 01-01-2017. Upper age relaxation for SC/ ST candidates is 5 years and for Ex-servicemen is 2 years. Scale of pay: PB-2, Rs.14,000- 49,000/- + GL Rs.8700/- pm. For General candidates: Rs.250/- only. For Candidates having BPL certificate: Nil. The amount may be paid through Treasury Challan to the Head of Account "0070-Other Administrative Services-60-Other Services-800-Other Receipts." How to Apply: Candidates can apply in prescribed form through the website http://www.recruitmentaim.in . Instruction for filling up prescribed online form will be available in the website. Tags: Assam, Graduate, State Govt.